‘The designs presented in Multiple Clothing express the concept of self-organisation. This idea of self-organisation is equated with the creative freedom to organize and express our personal identity and feelings within society. 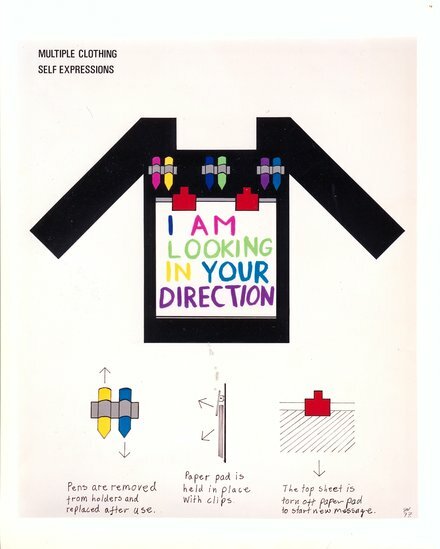 With the white pad and different coloured pens attached to the garment, any message can be expressed by the wearer or another personin an interactive situation.